Hello! Today the sun was scorching so we woke up as early as we could to beat the heat. We had a delicious breakfast at our riad, Riad Abaca Badra, of bread, crepes, omelet, homemade strawberry jam, prune jam, croissants, fresh orange juice, mint tea, and coffee. I highly recommend Riad Abaca Badra. Our hosts Dominique and Gilles were friendly, gracious, and helpful for whatever we needed. From a warm welcome with cookies and mint tea, to helping secure train tickets, and helping fix my camera using a tiny hex wrench, our stay was excellent! Highly recommended. 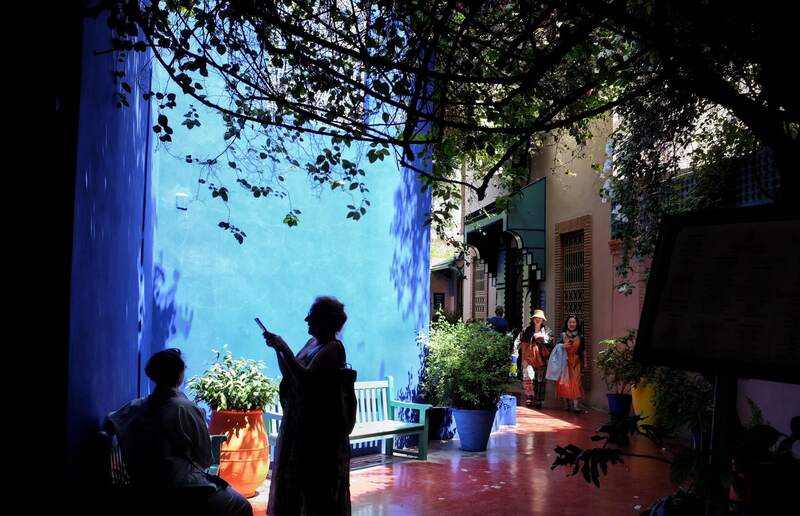 After breakfast, we headed out into the sunny day (it would reach 108 F) to visit Jardin Majorelle. The grounds were beautiful (although smaller than we expected) and the Berber museum was interesting, especially because we would be visiting a Berber camp in eastern Morocco the next day. We walked a bit more to the mall to stop for some local groceries to bring back to the States, then stopped at McDonald’s for a McFlurry. 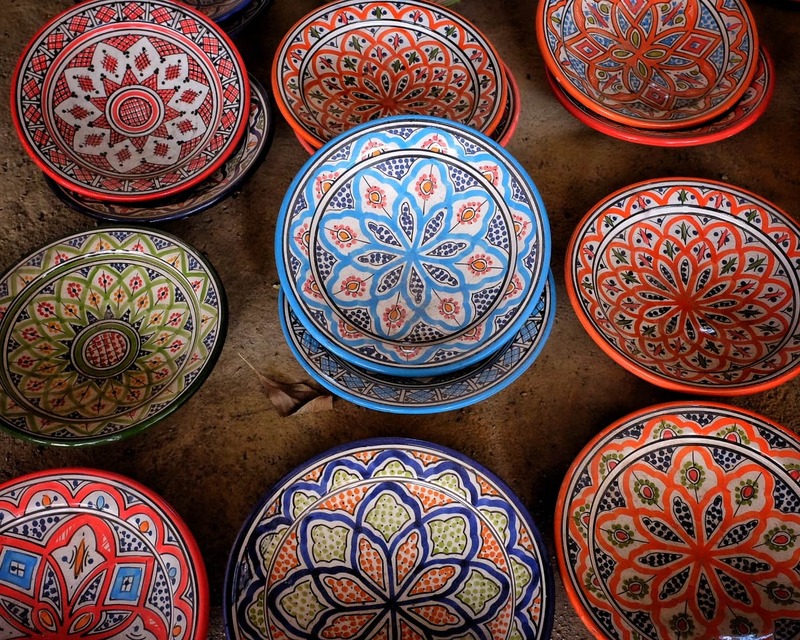 Next, it was a taxi ride to the opposite side of the Medina to shop at the pottery souk. At this point, the heat was getting the best of us, so we returned to our Riad for some rest. 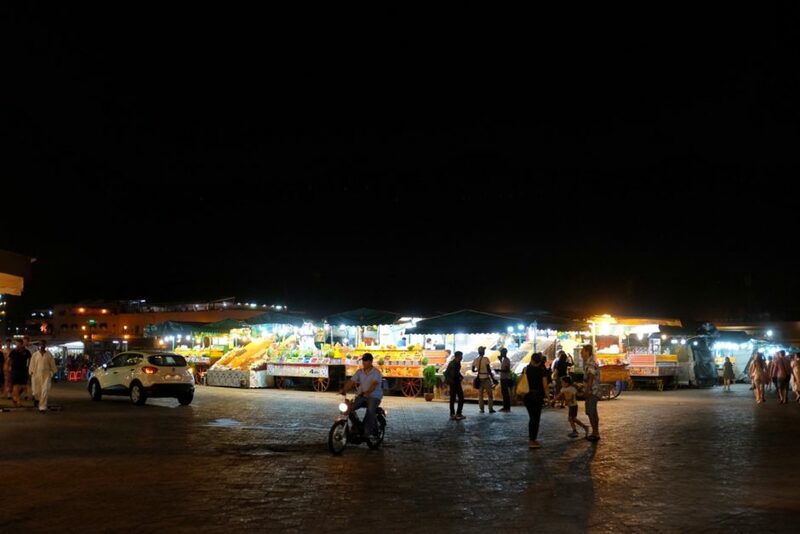 After dark, we walked to the main square, Jemaa El Fna and found food stall #14, which Mariko read served calamari that was really good. Dominique had earlier warned us that seafood in the square at this time of year was iffy, but we decided to eat there anyways. We had calamari, fish, fries, bread and eggplant dip. It was pretty good, but not so special. Lots of fun though, and not expensive. 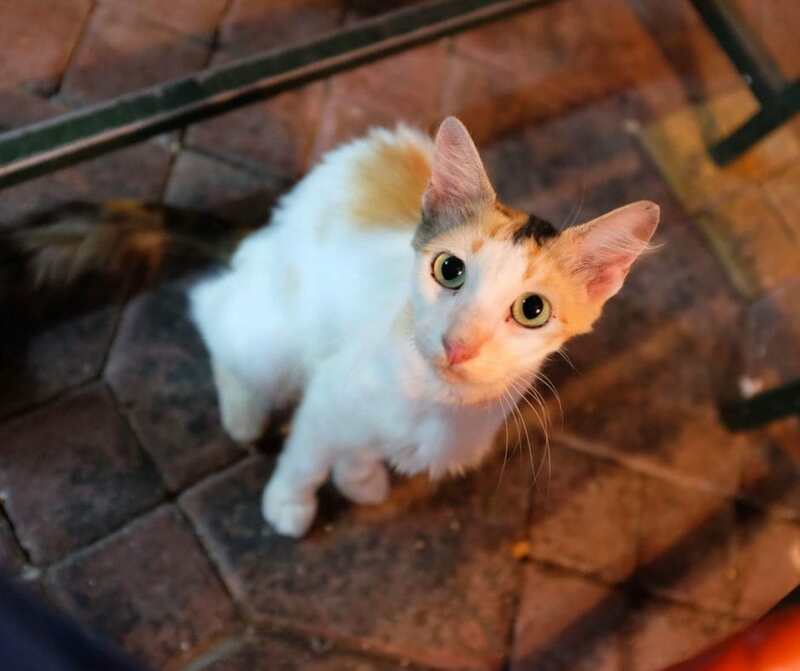 There were even cute cats looking for a meal. We did a little shopping in the square and then it started to rain. That felt great! 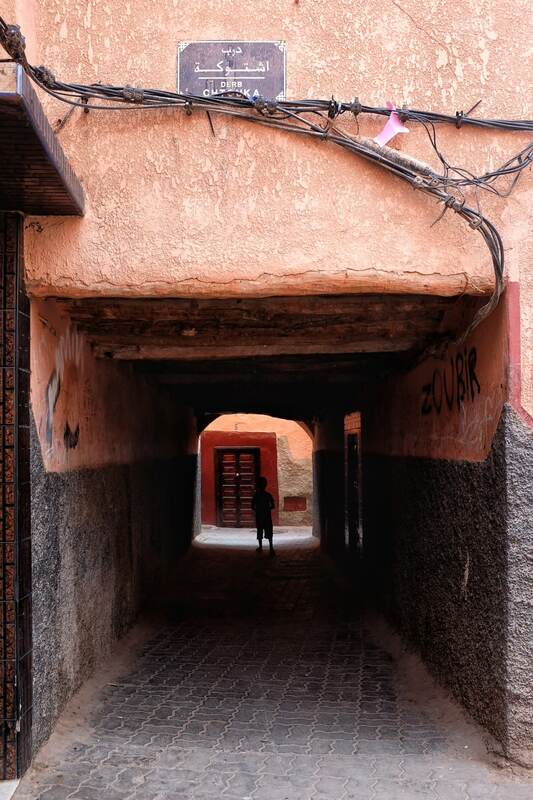 We walked back to the riad and called it a night. I hope you had a great day and kept cool!